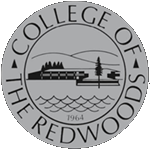 It is the mission of the Foster and Kinship Care Education Program at College of the Redwoods to provide quality education and support opportunities to caregivers of children and youth in out-of-home care so that these providers may meet the educational, emotional, behavioral and developmental needs of children and youth in the foster care system. From 1989 to 1998, the number of children in California's foster care system has grown by more than 50%-- from 68,000 to 105,000. The dramatic increase in the state's foster care population has been attributed to many factors-there are a greater number of children living in poverty, increasing numbers of parents who abuse alcohol and drugs, and increasing cases of child abuse and neglect. The FKCE program plays a vital role in providing licensed foster parents and relative caregivers with the training and education that will help them in meeting the multifaceted and often complex needs of the foster children in their care. The FKCE program was established in 1984 following the passage of Senate Bill 2003, the Foster Children and Parent Training Fund. This act designated the California Community College Chancellor's Office as the agency to administer the program, which provides funding to community colleges for the provision of education and training to potential and existing resource parents. The College of the Redwoods FKCE program works with the Humboldt and Del Norte County Department of Health & Human Services, Child Welfare Divisions to provide training and support for the resource families in the county. The FKCE program provides caregivers with continuing education training on topics such as understanding attachment and bonding, helping children who have experienced trauma, impacts of grief and loss, positive discipline methods, advocating for children in the education system, and working with child welfare. Download brochure here. The Chancellor's Office receives funding for the FKCE program from two primary sources. State funding consists of community college Proposition 98 funds. These State funds are used as a match to pass through federal Title IV (e) funds, by way of an interagency agreement with the California Department of Social Services. All training sessions are FREE. Although our target audience is foster/adoptive parents and relative caregivers, our training classes are open to everyone in the community including social workers, group home staff, family, and friends. Due to the topic and nature of some of the classes, children/teens might not be permitted to sit in the classes. Please check the schedule carefully and plan your child care needs accordingly. In order to receive a certificate for full training hours, participants must attend the entire training. Credit for partial training hours is not offered. Exploring healthy responses to grief and loss. Pre registration is not required for most classes but is encouraged to have an accurate count for meals and class materials. CPR/First Aid class registration is mandatory because of class size restrictions. Childcare is provided for the Saturday classes at some locations but MUST be reserved in advance.